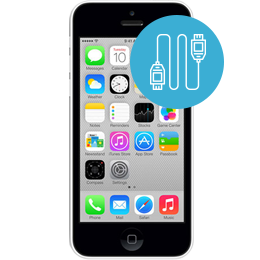 This iphone 5C charging port replacement repair service will fix issues with your cell phone not charging. If you have to wiggle your cord around to get your iphone 5C to charge or your phone is not charging at all, this iphone 5C charging port repair is what you need to fix the problem. All our repair services include a 90 day warranty on parts and labor. RockIT Repairs will fix and ship your device back out within 24 hours of receiving.